Make fluffy, delicious rice that is fast and convenient. 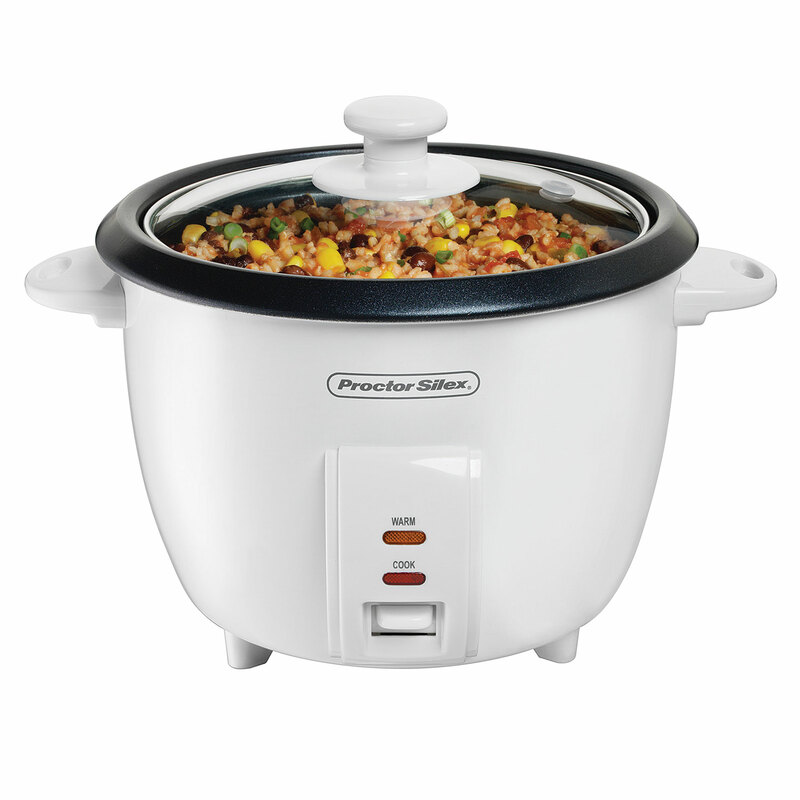 The Proctor Silex® Rice Cooker makes hot, fluffy rice that cooks up quickly and easily. These convenient and compact appliances take up little room on the countertop, yet cook up to ten bowlfuls of delicious rice that stays warm until it's time to serve.